Richardson Lake *No Longer Available | Northern Wilderness Outfitters Ltd. This lake is located about 80 miles north of Lac Seul. 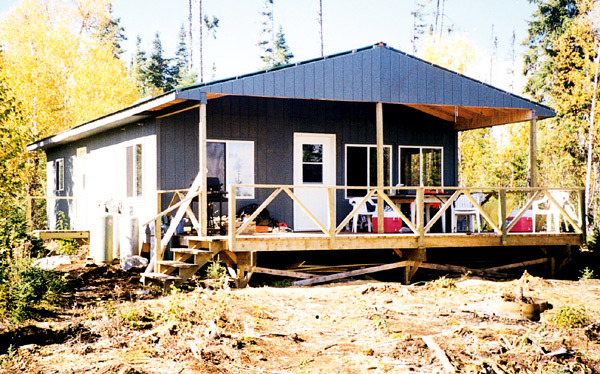 This is 6 person wilderness outpost cabin that is completely equipped with all the amenities of home. Hot showers, hot and cold running water, solar lights, gas barbecue grill, gas fish cooker, gas refrigerator, comfortable mattresses, living room and dining room furniture, 14’ boats with padded swivel seats and other amenities to make your trip more comfortable. 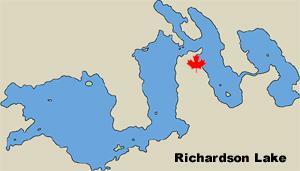 Richardson Lake is noted for its excellent walleye and northern fishing. Also, this lake is one of the few lakes in Ontario where you will catch nice size “Blue Walleye”. With great fishing, new accommodations in the wilderness and being the only cabin on the lake we know every fisherman will have a great wilderness fishing trip! Keep in mind at Richardson Lake you can eat fish while at camp, but no fish can be brought home from this lake.